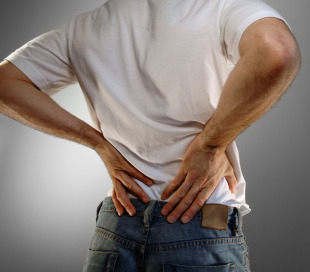 Suffering from back pain in Pompano Beach, FL? 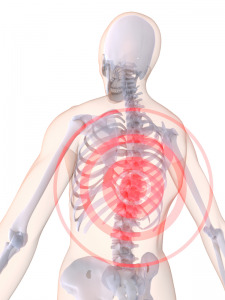 A number of conditions and complaints can lead to acute or chronic back pain. The complex structure of the spine, including vertebrae, the facet joints that articulate them, and the discs that cushion them, can all be damaged or thrown out of their proper alignment. Muscle muscle strains are another common occurrence. Our leading Pompano Beach chiropractors use a variety of techniques such as chiropractic adjustments to correct your spinal alignment, and regular spinal screenings to relieve muscle pain and inflammation and help you optimize back strength and flexibility. Our chiropractors in Pompano Beach understand the struggles that come with neck pain. The neck is prone to injuries such as whiplash, in which a violent collision damages neck muscles and vertebral discs. Longstanding postural problems, such as those caused by poor workplace or sleep ergonomics, can create chronic neck pain. We may recommend many of the same treatment methods for the neck that we use to treat back pain, while also suggesting lifestyle changes to help you support your neck's natural curve and balance. Headaches and migraines can respond well to our natural, drug-free services. The classic tension headache, for instance, is often triggered when muscular imbalances pull at a sensitive membrane known as the dura mater. Our Pompano Beach chiropractors focus on correcting your cervical alignment, which can often relieve this pain. Migraines are rooted in biochemical imbalances that affect your trigeminal nerve system. Chiropractic adjustment helps normalize nerve function, allowing your physical systems to behave more normally; we can also advise you on which foods and other environmental triggers to avoid. Pressure on the sciatic nerve in the leg can produce tingling, loss of sensation, weakness, and shooting pains down the leg on the affected side. Herniated/bulging discs and age-related disc compression are common causes of sciatica. Our Pompano Beach chiropractic team can use a combination of spinal adjustments and spinal decompression to relieve this nerve pressure, which in turn relieves your symptoms. There are even more different kinds of sports injuries than there are sports. In addition to traumatic contact injuries such as herniated discs, concussions, and severe sprains, you may also suffer from the pain and inflammation of repetitive strain disorders such as runner's knee, plantar fasciitis, tennis elbow or runner's knee. Our chiropractors in Pompano Beach can evaluate your condition and correct any bodily imbalances that may have contributed to strains and sprains, while using helping those injuries heal through chiropractic adjustment, physical therapy and nutritional therapy. Regular spinal screenings and adjustments can also help optimize your function before a big sporting event, lowering your chances of injury. If you are looking for a leading chiropractor in Pompano Beach, contact us today to schedule an appointment! Welcome to Pine Chiropractic Center, where we provide chiropractic services throughout the Pompano Beach area and Broward County. Learn what services we offer and how our Pompano Beach chiropractors can help you heal from your injuries and live the life you want. Why See Our Pompano Beach Chiropractors? Our chiropractors in Pompano Beach, FL use a variety of chiropractic treatments that can help you experience better immune healthy, nervous system health, more energy, better sleep, and a higher quality of life every day. Our adjustment techniques active your body's natural healing system, improve circulation, and alleviate tension. Many of our patients find treatment relaxing, and see an immediate difference in how they feel after just a single session with our Pompano Beach chiropractors. 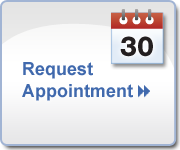 At our chiropractic office based in Pompano Beach, we maintain weekend and evening hours to better serve the community. If you have pain, a conventional doctor will most likely prescribe medication that masks the symptoms of your pain instead of treating the root of your pain. Unfortunately, this creates a cycle where you need to take medication just to feel pain-free. This is not sustainable in the long run. Many of our patients find us because they want to heal from injuries, aches, and pains, without needing to take so many medications every single day. During your first visit, our Pompano Beach chiropractor will examine you, identify the source of your pain, and take corrective action to relieve that pain so you no longer feel it. By treating the underlying condition without the use of medication, we can break the cycle of pain. When you are not in pain, you will have more energy and a better quality of life. You can resume activities you used to enjoy, achieve health and wellness goals, and be more productive at work and at home. 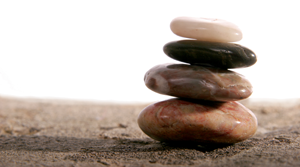 Chiropractors in Pompano Beach, FL can also connect you to complementary therapies that speed your healing process and promote mind body wellness. In our clinic, we offer postural screenings, lifestyle advice, nutritional counseling, weight loss advice, therapeutic and corrective exercises, and gentle chiropractic adjustments. 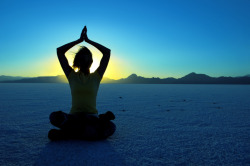 By addressing your physical symptoms and your mental well being, we can help you create the life you wish to have. Do you experience pain and wish that you could live a life without pain? If so, then we invite you to contact our Pompano Beach chiropractors today! We look forward to meeting you and providing an initial assessment, so we can discuss how we will be able to help your look and feel your best on a daily basis. Not only is massage therapy an excellent addition to our chiropractor led therapies, but it is also a terrific therapy when used all on its own. Massages can be used for a variety of reasons including: general pain management, and relief of neck pain, headaches and back pain. They can also be used to reduce stress or anxiety, temporarily lower blood pressure, improve mobility or flexibility and to increase circulation. Our trained massage therapist will work in conjunction with our Pompano Beach chiropractic care treatments, and at the direction of our chiropractor, they will give you a massage that is targeted to your needs. They can target specific areas of the body, such as lower back, or they can target specific conditions like headaches or joint pain. Once they have a good understanding of what your areas of concern are the massage will begin. A massage therapist may use a variety of techniques to manipulate the skin, joints and muscles. Kneading, stroking, circular motions, various degrees of pressure and friction are all used to achieve your goals. As they manipulate your muscles, joints and skin, the blood in your body begins to circulate better. Through their movements, the therapist is able to guide the incoming flow of healing circulation. Better circulation means faster healing. Massages have been used as a holistic treatment for thousands of years. Today, modern science and medicine have accepted that they do indeed have medical merit. Whether you have a specific injury that massage is helping to treat or if you just need to unwind after a busy week, massages are aimed at helping you feel better. At Dr. Pine's Pompano Beach Chiropractic, Pine Chiropractic Center, we understand the important role massage plays in not only feeling better, but also in maintaining wellness. 1. Quinoa-This super seed from South America is a complete protein with a fluffy texture and a light, nutty taste. It is fiber rich, packed with minerals, and cooks just like rice (one part quinoa, two parts water). Try it in either savory or sweet recipes, such as breakfast with a little honey, cinnamon, nuts and apples for all-morning energy. 2. Nuts-Walnuts, almonds, hazelnuts and cashews are all excellent sources of healthy fats and minerals that boost energy, heart health and can even help with back pain, neck pain and headaches. Omega-3 fatty acids, particularly in walnuts, also protect heart health and boost moods. 3. Greek Yogurt-Thicker, creamier and with a higher protein content than regular yogurt, Greek yogurt promotes digestive and immune health and can be used in a variety of delicious ways. With a drizzle of honey, nuts and berries for breakfast, or as a fresh veggie dip for lunch, Greek yogurt is a satisfying way to boost energy. 4. Spinach-Spinach is the king of leafy greens, and is loaded with iron, calcium, folic acid, vitamin K, vitamin C, fiber, carotenoids, lutein and bioflavonoids. Try it fresh in a salad with dried berries, walnuts and a light vinaigrette. 5. Berries-Sweet, tasty and full of vitamins, antioxidants and phytochemicals, blueberries, raspberries, blackberries and strawberries can be added to breakfast, lunch, dinner or dessert as a quick, healthy source of energy. Try smoothies! Does anyone have some great recipes they would like to share? Are Your Kids Well Adjusted? Most people associate chiropractic care with adult back pain. And while this is true, it also has become a safe, effective health resource for kids too. Some common childhood conditions such as ear infections, asthma, sleep disturbances, headaches and sinus and respiratory infections have been shown to respond favorably to chiropractic treatments. Kids can get very active with sports, riding skateboards, bikes, and other activities. Have you seen how heavy their back packs can get? Regular spine checkups now can keep them enjoying these activities and prevent chronic problems later in life. Parents are increasingly turning to alternative treatment that is drug free and are relieved to know that children are likely to require less treatments than adults as their spines are more mobile. 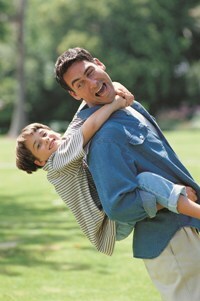 Pine Chiropractic Center is dedicated to getting your kids on the right track. We utilize exercise and stretching programs, diet and nutritional counseling, and soft tissue techniques, to get kids started on their road to a healthy medication free life. As with children, teenagers can benefit from chiropractic care too. During puberty, numerous changes take place in a teen's body which places significant demands on muscles, joints and bones. This is a period when bones tend to grow fast while muscles grow slowly by comparison. With proper care we can prevent muscle imbalances, subluxations and injuries. By including kids, your family can provide a solid foundation for wellness that the whole family can participate in. At Pine Chiropractic Center we welcome the whole family and believe that in experienced hands, chiropractic care can provide your child or teen with a lifetime of health and happiness. We hope that you enjoyed this edition of our blog. Maintaining good posture does more than make the human body appear aesthetically pleasing. Proper posture supports normal and healthy body function and mobility. Good posture enables muscles to work at their most efficient and effective level, thereby reducing or eliminating muscle strain and fatigue. Additionally, good posture keeps the body aligned properly and decreases the stress on ligaments and pressure on joints, both of which can lead to pain or injury. By maintaining good posture during all activities, patients can minimize issues including low back pain, neck pain and headaches. At Pine Chiropractic Cener in Pompano Beach, the chiropractor commonly sees patients from Pompano Beach as well as Lauderdale-by-the-Sea, Oakland Park, Wilton Manors, Fort Lauderdale, Lighthouse Point, Hillboro Beach, Deerfield Beach and the surrounding areas. Dr. Pine takes pride on teaching his patients how to maintain proper posture when sitting, standing or walking, and lifting objects as a way to prevent injuries and take good care of the spine. Chiropractors and chiropractic care target issues like low back pain, neck pain, and headaches with holistic care aimed at restoring the natural functions of the body. Dr. Pine will restore natural order to your body with a combination of spinal adjustments, encouraging good nutrition and exercise, physical therapy, and massage therapy. Dr. Pine is a licensed chiropractor who provides patients with preventative care to reduce the risk of pain or injury, in addition to treating existing pain. One of the main ways for patients to avoid injury is to maintain proper posture while sitting, standing, and lifting objects. Hunching over a keyboard or holding ones head tilted for any period of time can cause tension or muscle strain. Patients should make sure the chairs backrest is adjusted for low and mid back support, keep legs uncrossed, sit up straight and relax the shoulders keeping the forearms parallel to the desk surface. Make sure your knees are level with or below the hips, and use a footrest if feet do not reach the floor. Additionally, patients should stand up and walk around periodically so as not to remain in the same seated position for too long and to stretch out the muscles and get the blood flowing. For chiropractic patients who are required to stand for long periods of time, keeping proper posture will help eliminate back pain as well. When standing, proper posture involves keeping the bodys weight on the balls of the feet which should be shoulder-width apart, bending the knees slightly, and keeping shoulders pulled back with ears in line with shoulders. If standing for an extended period of time, the patient should be sure to walk around or shift weight between feet or from heels to toes. In addition to sitting or standing for long periods of time, low back pain, neck pain or headaches can result from improper posture while lifting an object, regardless of the objects weight. To lift an object with correct posture, chiropractors advise patients to lift with the knees and not twist while lifting the object. If you have questions about your posture, or would like to have a consultation about pain that you are experiencing, don't wait another day! Patients in Pompano Beach, Lauderdale-by-the-Sea, Oakland Park, Wilton Manors, Fort Lauderdale, Lighthouse Point, Hillboro Beach, Deerfield Beach and nearby areas can receive both preventative and rehabilitative chiropractic care at Pine Chiropractic Center. We offer a personalized combination of chiropractic adjustments, physical therapy, and massage therapy, as well as other services and techniques to ensure that you leave feeling great. Call Pine Chiropractic Center in Pompano Beach at 954-782-7006 or request an appointment online to schedule a consultation today! What is your favorite thing about Chiropractic Care at our Pompano Beach clinic? At Pine Chiropractic Center in Pompano Beach, we hear lots of great feedback about chiropractic care from our patients. The most obvious reason our patients love chiropractic care is due to the fact that chiropractic adjustments offer help with pain relief and pain management. A trained chiropractor helps fix any misalignments in your spine, which will leav you feeling great even after your visit to the chiropractic office is over. We also commonly see patients from Pompano Beach, Lauderdale-by-the-Sea, Oakland Park, Wilton Manors, Fort Lauderdale, Lighthouse Point, Hillboro Beach, and Deerfield Beach who are experiencing the symptoms of back pain, neck pain, headaches, and migraines. Another reason that our patients like chiropractic care at our Pompano Beach office is because our chiropractors work with the body instead of against it in order to promote healing and wellness. At Pine Chiropractic Center, we take a total approach to achieving health, so in addition to just chiropractic care, we also offer massage therapy as a great complement to a complete chiropractic care plan. Massage therapy has also been demonstrated to promote healing, as well as enhance signs of immunity, improve your mood, and best of all massage therapy feels good and leaves you feeling great even after you leave the office. Regular massage therapy has healing properties for injuries but will also provide results in pain relief for those who are looking for pain management. Today weve talked a little bit about what our patients from Pompano Beach, Lauderdale-by-the-Sea, Oakland Park, Wilton Manors, Fort Lauderdale, Lighthouse Point, Hillboro Beach, and Deerfield Beach have been telling us about chiropractic care at Pine Chiropractic Center. Do you live in Pompano Beach, Lauderdale-by-the-Sea, Oakland Park, Wilton Manors, Fort Lauderdale, Lighthouse Point, Hillboro Beach, or Deerfield Beach and have you experienced the amazing benefits of chiropractic care? If not, call us today at (954) 782-7006 to schedule an appointment to start your journey to total health and wellness! At Pine Chiropractic Center, we commonly see patients from Pompano Beach, Lauderdale-by-the-Sea, Oakland Park, Wilton Manors, Fort Lauderdale, Lighthouse Point, Hillboro Beach, and Deerfield Beach who are suffering from neck pain. Chances are that neck pain will affect you at some point in your life. Neck pain has many causes, but whether you have been spending too many hours in front of a computer or if you just slept in the wrong position, neck pain can seriously impact your daily activities in a negative way. Different types of neck pain are associated with a variety of different symptoms, but a licensed chiropractor such as Dr. Pine has extensive experience determining the root cause of your pain. Spinal conditions often cause complex pain symptoms that may often seem unrelated so it takes a spinal expert to understand what is actually happening with your body. Dr. Pine will begin by evaluating your individual symptoms and health history and after determining your condition, he will target the true problem instead of just the pain symptoms you are experiencing. You may notice that your neck pops more on its own than it used to, ever since the onset of your neck pain. This sometimes is an indication that the spine or neck is out of alignment and is trying to get back into the proper alignment. Neck pain is often characterized by sharp shooting pain that becomes worse when moving the neck in certain ways or into certain positions, though neck pain can sometimes be more like a constant dull ache. 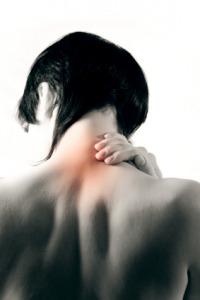 Neck pain may be accompanied by shoulder pain or stiffness and chronic headaches or migraines. In addition to pain symptoms, neck pain may associated with numbness or tingling, difficulty swallowing, swishing sounds that seem to be coming from inside the head, dizziness or lightheadedness, gland swelling and a general feeling of fuzzy headedness. Neck pain has many causes including degenerative disc disease, general neck strain, a neck injury, a misalignment in the spine, a herniated disc or a pinched nerve. At Pine Chiropractic Center, Dr. Pine has extensive experience treating patients with neck pain in Pompano Beach, Lauderdale-by-the-Sea, Oakland Park, Wilton Manors, Fort Lauderdale, Lighthouse Point, Hillboro Beach, and Deerfield Beach, including chronic pain cases and cases where the neck pain is accompanied by frequent headaches or migraines. Dr. Pine offers several holistic therapies at his office such as chiropractic adjustments, corrective exercises and physiotherapy modalities. Pine Chiorpractic Center commonly sees chiropractic patients from Pompano Beach, Lauderdale-by-the-Sea, Oakland Park, Wilton Manors, Fort Lauderdale, Lighthouse Point, Hillboro Beach, Deerfield Beach, and the surrounding areas. Do you have neck pain? Call Pine Chiropractic Cenetr in Pompano Beach at (954) 782-7006 today! 3 Reasons to Visit a Pompano Beach Chiropractor Today! At Pine Chiropractic Center In Pompano Beach, we are dedicated to helping you achieve your wellness goals without unnecessary pain medication or surgery. Today we will tell you about three potentially unanticipated reasons you should visit a chiropractor in Pompano Beach today! Prevent Pain: Have you ever wondered how your spine degenerates until it eventually starts causing you pain? When there is a misalignment or subluxation in the spine, there may be few initial symptoms. However, over time the joints in your spine may start to experience a decreased range of motion and which can lead to degeneration in your spine. When a spine has reduced range of motion, it starts a vicious cycle where as the joints of your spine lost the ability to move through a full range of motion, they get even more stiff from lack of movement. Your nerves may start to atrophy and get smaller. This can lead to atrophy in the surrounding muscles. If a spinal misalignment goes on for long enough, the bones in your spine may even start to fuse together. For these reasons, it can be extremely beneficial to get a chiropractic adjustment periodically, even if youre not currently experiencing any symptoms. Can't Sleep? Get Relief from Insomnia: If youve ever suffered from insomnia, you know how not getting enough sleep can disrupt your life and make you feel tired and miserable. Getting a great nights sleep is one of the best things you can do for your health. Fortunately, chiropractic care is an effective therapy to reduce or eliminate insomnia and many other types of sleep disorders. Chiropractic adjustments have been reported to help patients fall asleep faster, sleep longer, sleep more soundly, and generally have a better nights sleep. 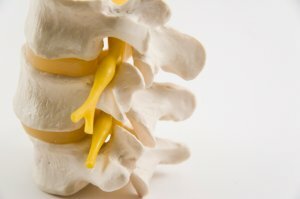 General Wellness and Well Being: Chiropractors are well known for being at the forefront in the latest all-natural and non-invasive techniques to reduce pain and promote wellness. At Pine Chiropractic Center, we provide many additional services as part of your wellness program such as nutritional counseling, anti-aging treatments, supplements, and more! Were here to help you achieve the best health of your life! At Pine Chiropractic Center in Pompano Beach, we commonly see patients from Pompano Beach, Lauderdale-by-the-Sea, Oakland Park, Wilton Manors, Fort Lauderdale, Lighthouse Point, Hillboro Beach, Deerfield Beach, and the surrounding areas. If you want to start experiencing the benefits of chiropractic care in Pompano Beach, give us a call at (954) 782-7006 or use the button below to schedule an appointment today! 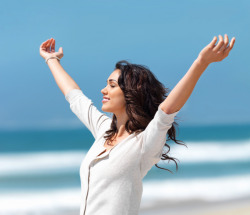 Here at Pine Chiropractic Center in Pompano Beach, we are dedicated to helping our patients achieve their wellness objectives and live a happy, healthy life with freedom from pain. Like many others in Pompano Beach, Lauderdale-by-the-Sea, Oakland Park, Wilton Manors, Fort Lauderdale, Lighthouse Point, Hillboro Beach, or Deerfield Beach, you may not realize that you can sometimes avoid an unnecessary trip to the doctor by visiting your local chiropractor. At our Pompano Beach chiropractic office, Dr. Pine utilizes many different health care techniques including chiropractic. During your first consultation with us, Dr. Pine will evaluate your current and past health history so he can create a personalized program so you can start feeling better right away, without unnecessary pain medications or surgery. There are many reasons to visit a chiropractor in Pompano Beach, Lauderdale-by-the-Sea, Oakland Park, Wilton Manors, Fort Lauderdale, Lighthouse Point, Hillboro Beach, and Deerfield Beach, and today we just wanted to share just a few of them with you. Pain: Are you in pain? Your body may be trying to tell you that something is wrong. While many people only think about visiting the chiropractor if theyre experiencing a spine related pain such as neck or back pain, you may not realize that your chiropractor may also be able to assist you with other types of pain such as shoulder, wrist, knee and hip pain. In addition, many types of pain can originate from problems with the spine, even though the pain symptoms are experienced in other parts of the body. In those situations, getting a chiropractic adjustment in your spine may solve the pain problems you are experiencing in your joints or extremities. In any case, you can be assured that Dr. Pine will evaluate and treat your whole body as opposed to just treating your symptoms. If you are in pain when you come to the office, you may leave feeling better after your very first visit! Numbness: Many people will experience some sort of numbness and tingling which keeps coming back unexpectedly. Numbness and tingling are common symptoms, but many doctors find it difficult to determine the root of the problem and provide relief. There have been many cases where a patient suffering from numbness or tingling will go to several doctors only to be told that there doesnt seem to be any cause of their problem. If youve ever experienced numbness or tingling, or a dreaded case of the pins and needles, then you know how frustrating and annoying these symptoms can be. You dont need to give up and just live with these symptoms. Many cases of numbness and tingling are caused by a pinched nerve or some problem with your spine. Many patients with unexplained numbness or tingling will find that their symptoms completely disappear after getting their back adjusted by an experienced chiropractor. If youve been suffering from unexplained numbness or tingling, dont despair! Contact Pine Chiropractic Center in Pompano Beach to set up an evaluation today! Prevent a Surgery: An article that was published by WebMD stated that chiropractic care can reduce the need for certain surgeries by 32%. For example, lower back pain that radiates to your legs is often caused by some sort of misalignment or other problem with the spine that gets worse over time without treatment. This sort of condition may eventually require surgery, but many times a chiropractor will be able to reduce the symptoms of pain naturally and prevent the need for surgery. At the Pine Chiropractic Center, Dr. Pine believes that every patient in Pompano Beach, Lauderdale-by-the-Sea, Oakland Park, Wilton Manors, Fort Lauderdale, Lighthouse Point, Hillboro Beach, or Deerfield Beach deserves to try out chiropractic therapy, so we've made it easy for you to get started. If you want to start experiencing the benefits of chiropractic care, give us a call at (954) 782-7006 or use the button below to schedule an appointment today!